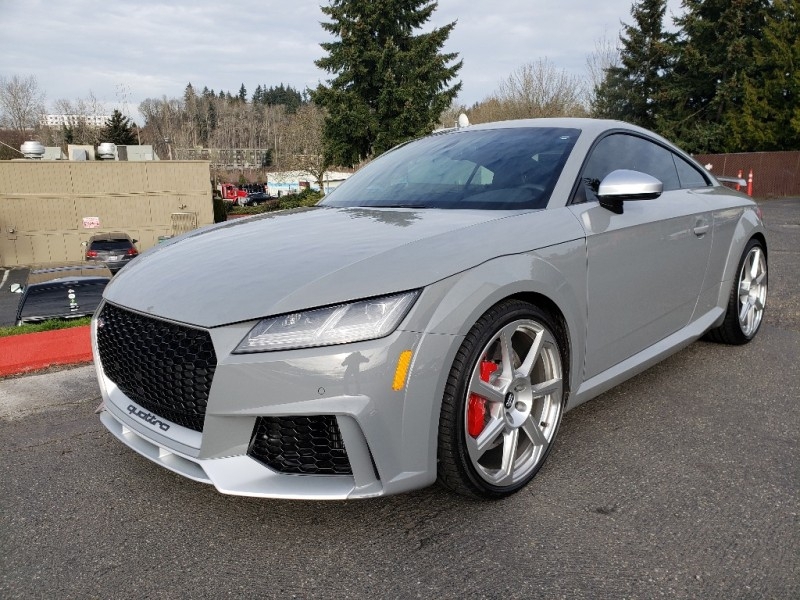 Sorry, we couldn't find any 2018 Audi TT RS 2.5T quattro AWD listings that matched your search criteria. Avg. Dealer Rating: (20 reviews) "They were very helpful, and friendly. They took care of everything I asked for..."
Avg. Dealer Rating: (19 reviews) "Contacted me the next morning (I emailed them after hours). They were very helpful." Avg. Dealer Rating: (52 reviews) "Very satisfied. " Avg. Dealer Rating: (22 reviews) "Danya communicated well and helped set up my appointment. Alan was a solid brand specialist; a true car guy and not just a salesman. Steve was clear and easy going throughout the financing process. Very smooth experience. If you’re an enthusiast this dealership stocks great cars, both new and used. " Avg. Dealer Rating: (11 reviews) "Dealer sent a thank you email, never called. So typical, the dealer never has available what they advertised"